Entertaining? 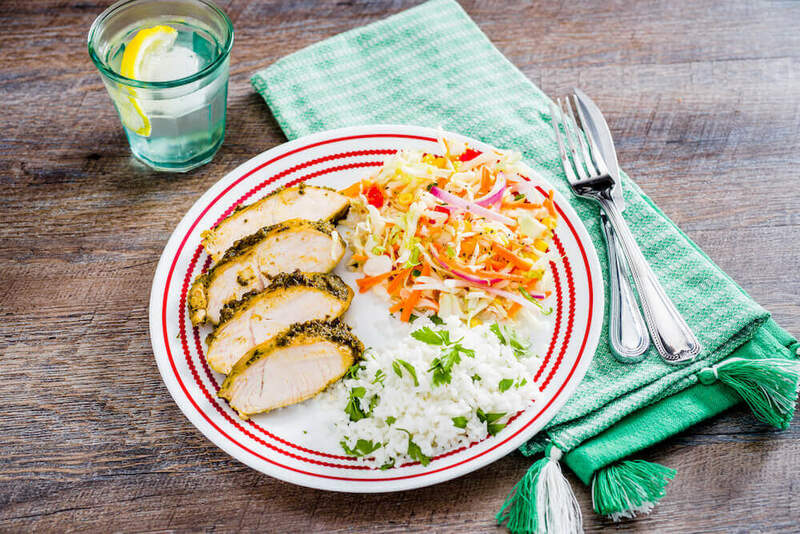 Then add Poblano Roasted Turkey Tenderloins with Creamy Mexican Slaw to the menu. The homemade, roasted poblano rub is simple and takes your turkey tenderloins to another level of flavor. Serve it alongside creamy Mexican slaw dressed with spicy avocado dressing and you have a meal meant for a fiesta! THIS ROASTED TURKEY TENDERLOIN RECIPE POST IS SPONSORED BY THE NATIONAL TURKEY FEDERATION. 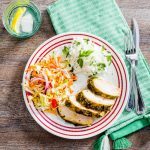 June is National Turkey Lover’s Month as well as the official kickoff off of summer so why not combine these two events by inviting some friends over and serving these amazing Poblano Roasted Turkey Tenderloins with Creamy Mexican Slaw? We love turkey on the grill but it is always fun to go beyond the traditional turkey burger and try something new like juicy turkey tenderloins. 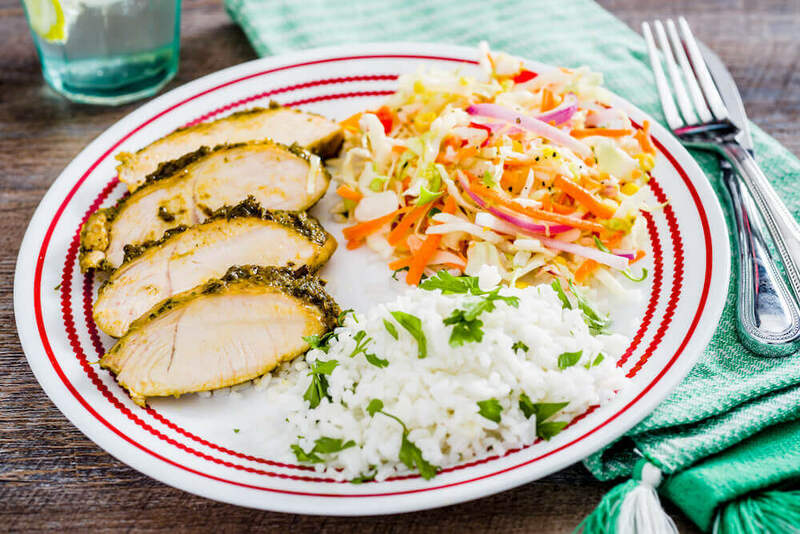 Plus, turkey tenderloins are so easy to cook, versatile and offer big flavor. On most nights when we grill, we tend to use a very simple marinade or rub. 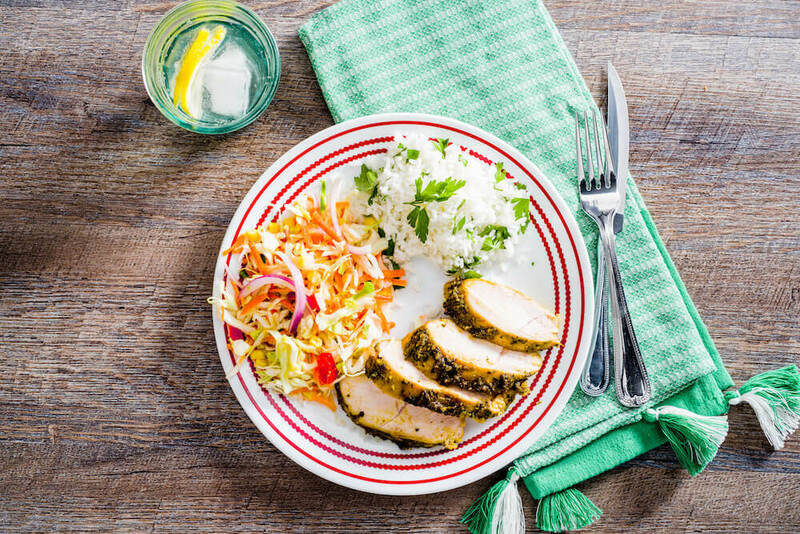 Something as easy as salt, pepper and garlic powder work well on a turkey tenderloin. However, there are other times when I like to take it up a notch and create a delicious rub that pairs well with the other items on the menu. 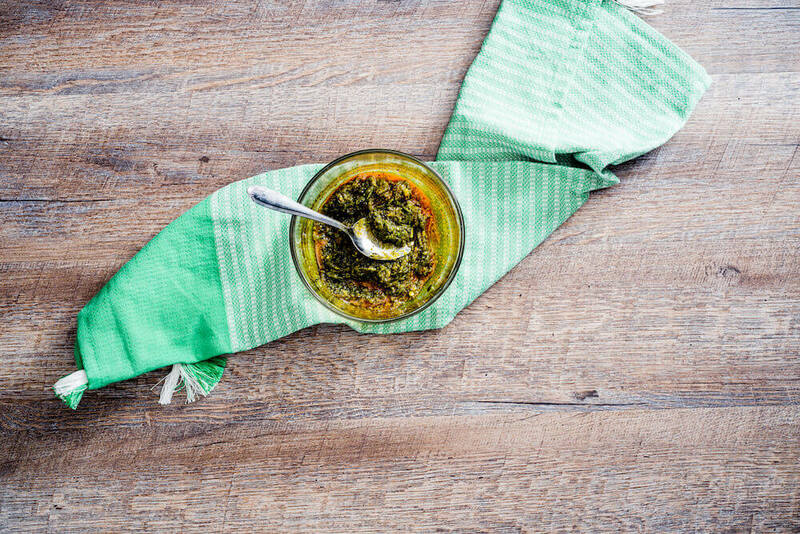 That is why I love my Roasted Poblano Rub and know it will soon become your go-to when you’re wanting to make a big impression on your guests. 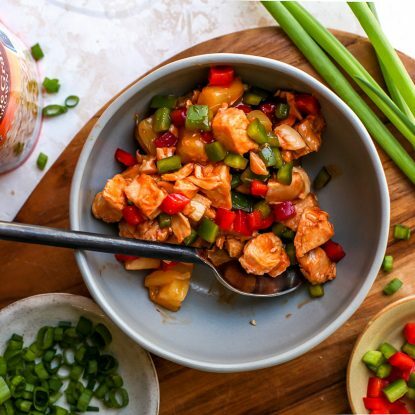 While the recipe may seem a bit labor intensive upon first reading, by following these simple steps, you can have the entire menu ready in no time. Plus, many parts can be prepped ahead (like roasting the poblanos) so that when you’re ready to eat you just assemble and cook. Start by roasting the poblano peppers under the broiler. While the poblanos roast then steam, make the Creamy Mexican Slaw with Avocado Dressing (you can grab that recipe in the notes section on the recipe below) as well as the spice mixture portion of the rub. Once you’ve peeled the skin off of the poblanos, blend with garlic and oregano to make a paste. Stir this mixture and the spice mixture together and then rub onto the turkey tenderloins. Because when you have an amazing entree, you really need an impressive side and the Mexican Coleslaw with Creamy Avocado Dressing is just what you need. 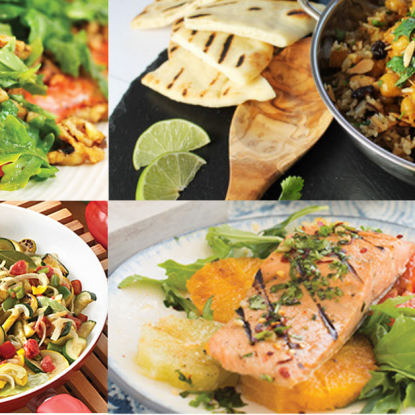 Trust me, you are going to want to plan a dinner party just so you can make this menu! Set oven to broil. Line baking sheet with foil . Rub two poblanos with 1 tbsp olive oil. Roast peppers for 5 to 10 minutes per side or until bubbly and skin is dark. Check every few minutes to ensure that they don't burn. Put peppers into a plastic bag and zip; let steam for 15 minutes. Remove from bag and gently scrape off roasted skins. Remove seeds. 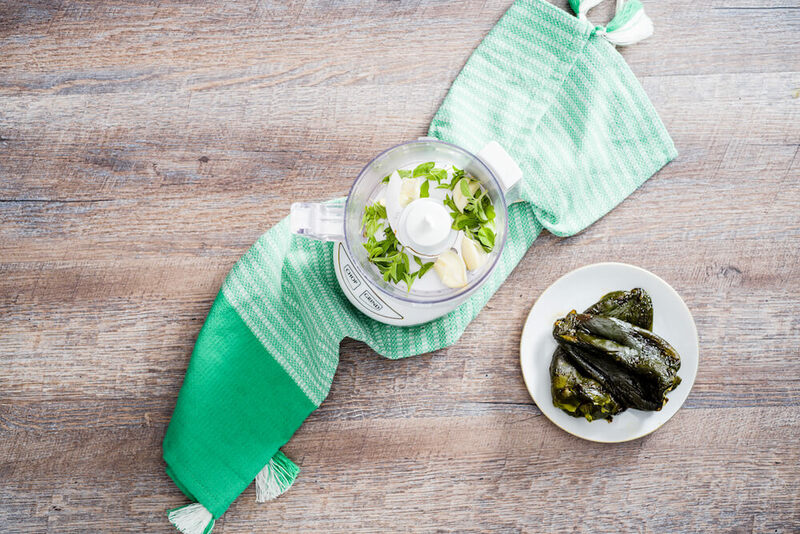 Add roasted, skinned poblanos to the bowl of a food processor. Pulse with garlic and fresh oregano leaves until no large pieces remain. 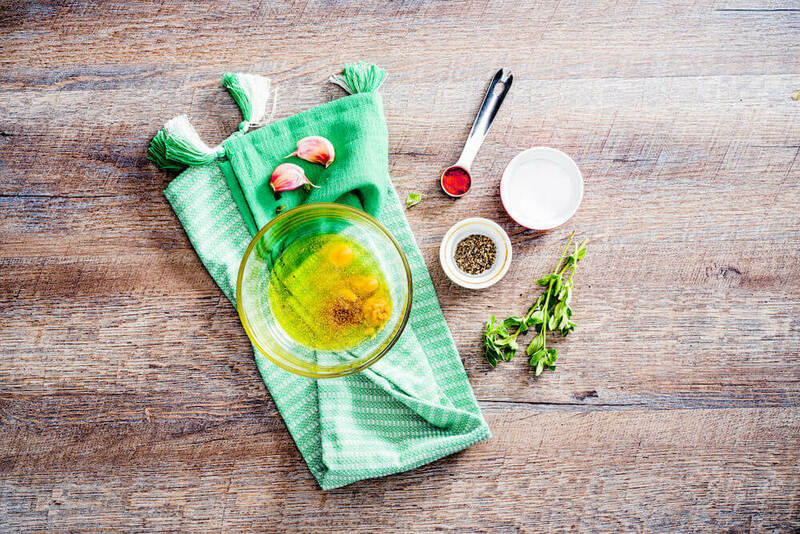 Stir together 3 Tbsp olive oil, cumin, brown sugar, salt, pepper, paprika, and mustard then stir poblano puree into spice mixture. Put turkey tenderloins in a glass 8 x 8 baking dish sprayed with cooking spray. Coat tenderloins in rub; flip, and cover the other side. Let sit for at least 15 minutes for the flavors to absorb. Bake tenderloins at 450 degrees F for 15 minutes; turn. Bake 15-20 minutes more, or until the internal temperature reaches 165 degrees F. Remove from oven, tent with foil for 5 minutes. Slice and serve with Mexican Coleslaw and rice. This homemade, roasted poblano rub is simple and takes your turkey tenderloins to another level of flavor. 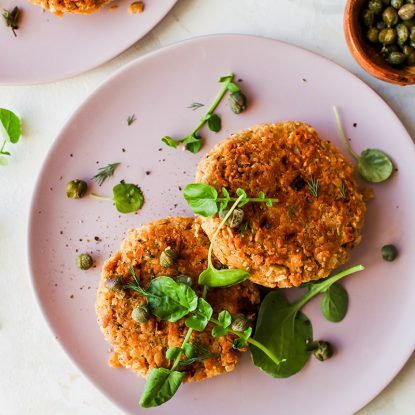 Serve it alongside the creamy Mexican slaw dressed with spicy avocado dressings and you have a meal meant for a fiesta!